Today will be a review about one of the foundations that i really love, and to be honest i just got it recently but immediately used it and i am loving the result. 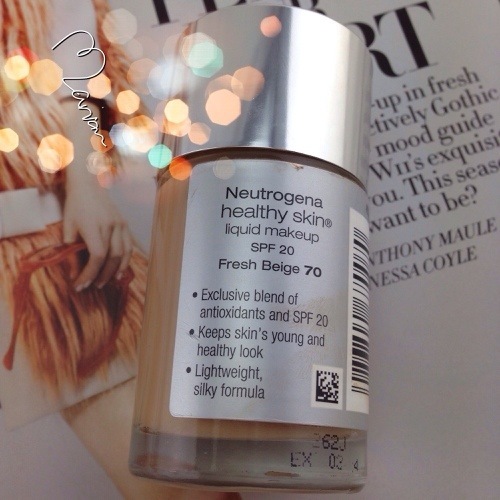 Neutrogena Healthy Skin is a liquid foundation and comes in a really small bottle, i worry that i will finish it soon especially that i cannot have a proper control of the foundation flow when it comes out of the bottle because it is open and only has a normal cap. I try my best to be careful while using it to get only the amount of product i am going to use. 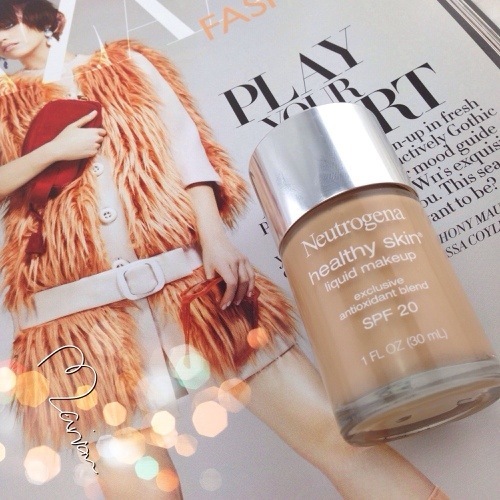 The foundation claims to be have an antioxidant blend which will work well with oily skin since most foundations oxidizes in an hour or two after wearing it, also it has a protection of SPF 20 which also is important especially in the summer. 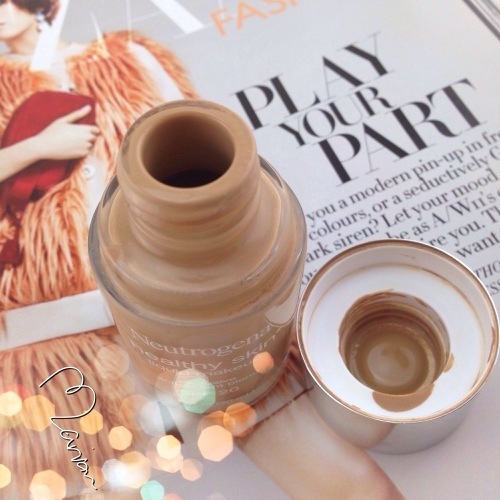 I am a person who dislike wearing any kind of sun protection but i wouldn’t mind when it is in my foundation. 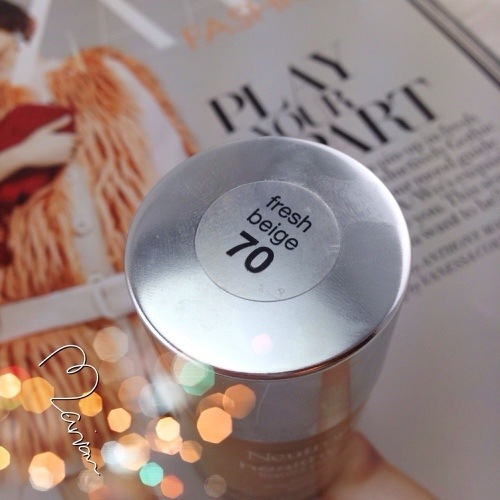 I got the shade Fresh Beige 70, at first i thought it is too dark for my skin and even when i swatched it still looked dark, but once i got it on my skin and blended it well it matched me perfectly. I love the healthy, glowy result it gave me and i was amazed that it holds really well on my oily skin, it kinds of dries out the excess oil and it feels like a matifying foundation yet it still keeps the radiance and glow effect. The coverage is light to medium, i usually use a small amount of product to aim a light/medium coverage but it can be buildable. The texture is light and can be blended easily. 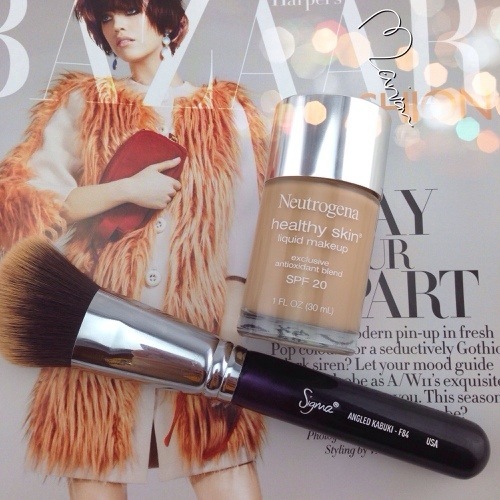 In general i like to apply and blend my foundation with Sigma Angled Kabuki Brush in F84, it is amazing in blending a liquid foundation.